Around the state leagues: Who's staking a finals claim? Retiring midfielder Scott Thompson continued a consistent season to put his name up for a finals spot, notching up 28 disposals, 11 tackles and two goals against South Adelaide on Saturday afternoon. Ben Jarman, son of former Crows great Darren, was his side's leading ball-winner with 29 disposals. Curtly Hampton (20 disposals) and Andy Otten (16) are on the fringes of the senior side. The Crows led by 14 points at the last change but were overrun by the Panthers, 13.8 (86) to 12.10 (82). Former Giant Rhys Palmer kicked three of the Blues' seven goals in their heavy 77-point loss. The 28-year-old managed just one game for Carlton this season since joining the club during last year's NAB AFL Trade Period. Rookie Andrew Gallucci and tall Daniel Gorringe each booted a major. The Northern Blues ended the season in ninth position on the ladder. Exciting forward Kayle Kirby surrendered the 'Frosty' Miller Medal as the VFL's leading goalkicker with Port Melbourne's Jordan Lisle booting four goals against the Pies as Port won by six points at the Holden Centre on Saturday. Both entered the clash on 42 goals, but with Kirby making his debut in the senior side, Lisle had a clear path to the award. Defender Jackson Ramsay worked hard while Lachie Keefe and Max Lynch booted a goal apiece. Port led at every change to win, 9.11 (65) to 8.11 (59). Experienced heads Craig Bird (25 disposals) and the retiring Brent Stanton (24 disposals, one goal) were among the Bombers' major ball-winners in their two-point loss. Key position player Aaron Francis was strong in defence, while Matt Dea (20 disposals) and Kyle Langford (19 disposals) also worked hard in the wet and windy conditions. The Bombers finished the year in sixth spot and now take on seventh-placed Footscray in an elimination final next Sunday, September 3. Omitted midfielder Josh Deluca regained his touch with 21 disposals and a goal in Peel's 34-point loss. Axed draftee defender Griffin Logue collected 20 touches and took eight marks, while another dumped Docker, forward Cam McCarthy, was a late out with a corked glute and replaced in the side by Logue. Peel had just six Dockers-listed players take the field. The Thunder will face South Fremantle again next Saturday in a qualifying final. Omitted defender Jackson Thurlow gathered an equal team-high 24 possessions, six marks, four tackles and kicked a goal in the Cats' thrilling two-point win. Backman Tom Ruggles (23 disposals), speedster Darcy Lang (19 disposals, five marks), youngster Jordan Cunico (18 disposals, six marks) and axed rookie Sam Simpson (17 disposals) rounded out the leading possession-getters. Forward Aaron Black presented well in the wet conditions with eight marks and led his team's goalkicking with two majors, while draftee Timm House showcased his strong intercept marking ability. Geelong ended the season in 10th position on the ladder. An eight-goal haul from Jarrad Grant helped Gold Coast to a 39-point win against Northern Territory Sunday at Metricon Stadium on Saturday afternoon. He also collected 18 disposals and five marks. That performance came on the back of a seven-goal effort against the Brisbane Lions' NEAFL side a fortnight ago. Matt Shaw also had a day out, racking up 39 disposals and booting three goals himself. Jesse Lonergan (38 disposals) and Josh Schoenfeld (30) also won plenty of the footy. The Suns broke away after half-time, booting 11 goals to five to post the 19.9 (123) to 12.12 (84) victory. An equal game-high four goals from second-year forward Kade Stewart steered the Hawks to a 77-point win. Stewart was recruited with pick No.36 in the 2015 NAB AFL Rookie Draft. Experienced campaigner Brendan Whitecross dominated the midfield with 33 possessions and fellow onballer Jono O'Rourke had 22 touches in his second game back following a lengthy hamstring injury. Big man Marc Pittonet controlled the ruck, while rookie Oliver Hanrahan kicked a goal. The second-placed Hawks take on Port Melbourne in a qualifying final next Sunday, September 3. Midfielder Jack Trengove was named Casey's best player in its 15-point win in wet conditions. Defender Josh Wagner and onballer Corey Maynard were also kept busy, while midfield pair Jay Kennedy-Harris and Tom Bugg kicked a goal apiece. Kennedy-Harris pulled up sore after being dumped over the line in a tackle in the final term, but appeared to escape serious injury. Casey finished the regular season in fourth spot on the ladder and takes on minor premier Williamstown next Saturday in a qualifying final. Untried rookie Will Fordham, who gathered 29 disposals last week, continued his good recent run, kicking a goal in Werribee's 15-point loss. Draftee Cameron Zurhaar showed some encouraging signs but missed two chances to hit the scoreboard in the third term. Werribee finished the season in 11th position on the ladder. The game marked the end of the Kangaroos' alignment with Werribee as both clubs prepare to field stand-alone teams from next season. Restricted free agent Jackson Trengove made his case to reclaim a spot for the Power's first final, collecting 20 disposals and snagging two goals in Port Adelaide's 40-point victory against North Adelaide at Prospect Oval on Saturday afternoon. Trengove hasn't played in Ken Hinkley's team since being dropped after round 20. Big-bodied midfielder Brendon Ah Chee had 27 disposals, as did rookie Will Snelling. Jarrod Lienert, who was recently upgraded to the senior list, had 20 touches. Brett Eddy locked up the Ken Farmer Medal for most goals in the SANFL after booting three majors. Port trailed at the main break but kicked away, 15.16 (106) to 10.6 (66). Coming off his 45-disposal game last weekend, reliable midfielder Anthony Miles proved a class above with 29 touches in the Tigers' 86-point win in windy conditions. Fellow onballer Corey Ellis (24 disposals) impressed with his defensive pressure acts and Sam Lloyd collected 21 possessions and kicked a goal. Forward Ben Lennon led the goalkicking with three majors, with big men Ben Griffiths and Ivan Soldo chipping in with two goals each. Ruckman Shaun Hampson enjoyed more time in the middle and dominated the hit-out count, while defender Jayden Short was kept quieter than usual. Another goal to Soldo, kicking his second as the siren sounds, victory to the Tigers. A return to North Ballarat for Rowan Marshall saw the Saints tall pick up 24 disposals and four goals as his side beat the Roosters by 55 points at Mars Stadium on Saturday afternoon. Marshall played at North Ballarat in 2014-16 before being rookie drafted by St Kilda at the end of last year. Nick O'Kearney finished with 34 disposals and two goals while endurance athlete Ed Phillips had 31 himself. Sandringham ran out comfortable winners, 15.12 (102) to 6.11 (47). Sharrod Wellingham picked up 30 disposals and two goals in East Perth's 42-point loss to Subiaco at Leederville Oval on Saturday afternoon. 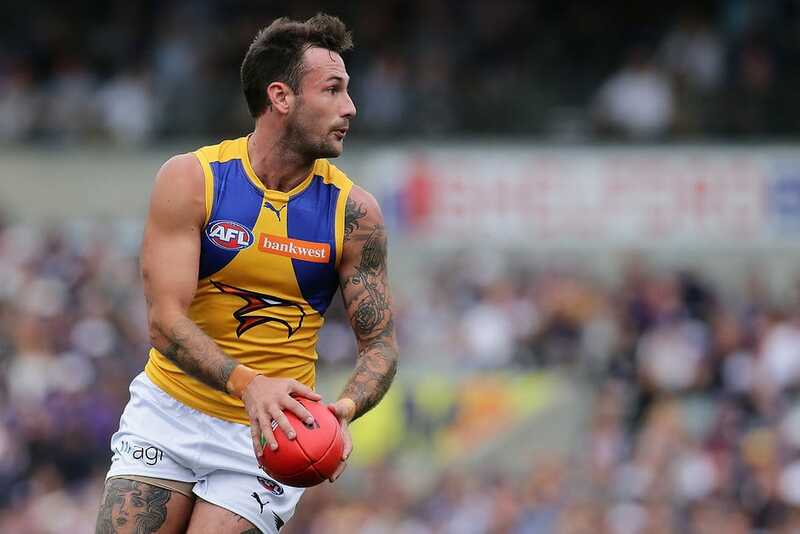 Midfielder Chris Masten had 28 disposals and a goal while defender Will Schofield notched up 18 and four marks. Josh Hill went goalless and collected 11 disposals after being dropped by West Coast. Ruckman Jonathan Giles won 45 hit-outs and 12 disposals. Subiaco led at every change before winning, 16.14 (110) to 10.8 (68). Midfield duo Mitch Honeychurch and Mitch Wallis led the disposal count for the Bulldogs-listed players with 22 disposals apiece in Footscray's 43-point loss. Honeychurch returned via the VFL last weekend after recovering from a facial infection. Omitted forward Tory Dickson, tough nut Clay Smith and defender Josh Prudden each kicked a goal, with the latter named his side's best. Backman Fletcher Roberts dislocated a finger late in the match following a marking contest, while forward Tom Boyd finished with a goal in his second game back from mental health issues.